Its not an easy decision, and nor should it be. The difference between Professional and Enterprise editions of Salesforce is a major jump in functionality, and price. There are some situations where there will be no other option other than Enterprise or greater. Though many organizations will be able to function well on Professional edition alone. If you would like to test the water, or you are unsure which will be right for you, this series will highlight the major components that should be considered before you sign up. We’re not going to go through all the differences here, as there are too many, but we will cover all of the critical features to be sure you know what you’re getting. Access is controlled by Profiles. Every Salesforce user is a assigned to a singular Profile. Profiles dictate what apps and data objects you have access to, and what security control you have over each of those Objects (Read/Create/Edit/Delete). Profiles also control what system settings you have e.g. can a profile "Manage Custom Report Types", or "Send Mass emails". Permissions are controlled by Sharing rules and Role Hierarchies. Sharing Rules will dictate whether or not one user may see another user's Data. For example, can one user see and edit another Opportunity record belonging to an Account they both work on, or is that record completely private, or maybe they can see it but not edit it. These settings can be configured for the whole organization, and there is also the ability to customize sharing of specific types of data for unique users or groups of users. For example, All East Coast Sales Reps can view all Opportunities owned by West Coast Sales reps, and vice versa, but they can't edit records they don't own. Role Hierarchy is another way of sharing data up the chain of command. By specifying a hierarchy of your users you can enable users higher up, to be able to see data owned by everyone below them. For example if you have a regional Sales Manager with several reps listed below her in the hierarchy she will be able to see all their data. A CEO listed above her will be able to see her data, and all her reps data. So that's the short and sweet of how the Salesforce Security Model works. But the degree to which you can customize it varies greatly between Professional and Enterprise editions. For a more in-depth look at Salesforce Security you can check-out my earlier post. With Professional edition your ability to configure security is extremely limited. Every User is assigned to a Profile, but you're limited to 1 of 6 Standard profiles which cannot be customized. You can create custom Apps in professional (Limit 5 vs 10 in Enterprise), but you can't control who has access to them. Everyone in your organization will have access to all Apps and all Objects. Sharing settings are 100% customizable in Professional Edition, giving you the ability to fully control who can see each record. Role Hierarchy is also available in Professional Edition, giving you the ability to add transparency to your Organization's Data. With Enterprise Edition, the world is your Oyster so to speak. You have complete control over the Security of your Organization. You can leverage 9 Standard User Profiles, but you also have the ability to clone a standard Profile and customize, or completely start from scratch. 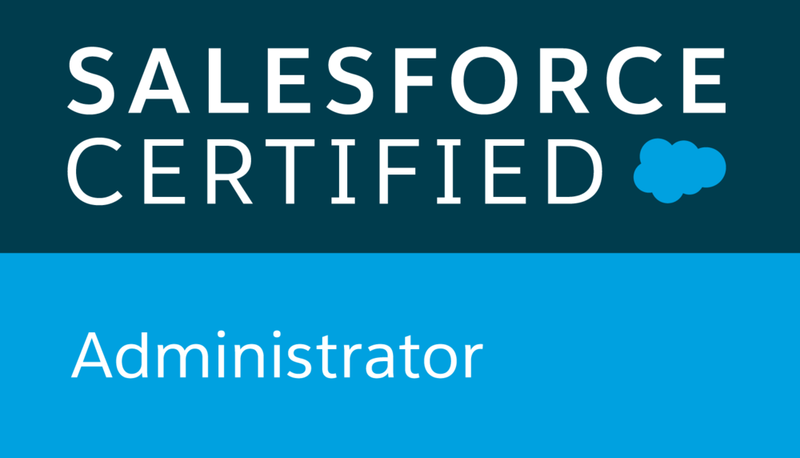 This give you complete control to dictate what users can and cannot do inside Salesforce. You can give them the ability to only see the Apps, the Objects and Fields they need access to. You can give them the system settings they need, assign record types and page layouts to individual Profiles so that Salesforce is 100% optimized to their individualized job functions. Sharing rules and Role Hierarchy are the same in Enterprise and Professional. So there isn't any bonus there. A lot of the times we see the smaller the Organization, the less security customization matters. If you have a relatively open and transparent corporate culture, then the need to lock down your data probably isn't a big enough selling point to justify the uptick in price to upgrade to Enterprise Edition. Make your organization wide-open and enjoy the full freedom of having all your company data, in one place, fully shared for everyone to access. But if you need a bit more control over who sees what, then there's no if-ands-or-buts about it, you will need Enterprise. Not to worry, if you need Enterprise because of Security reasons there's lots of other bells and whistles you'll get, and once you have them you'll wonder how you ever got along without them. We'll talk about those over the course of this series. Upgrading editions is as simple as a phone call and a new contract. For this reason, many organizations will choose to start with Professional and upgrade to Enterprise when the time is right. If you read through this series, and are still unclear about which is right for you, give us a call, or send us a message we’d be happy to answer any additional questions you may have. Know someone else who might benefit from knowing what we know? Please share us with your friends. Truer words have never been spoken. Join our list for our Monthly Newsletter and we can share things with you that you might not know. A little extra knowledge never hurt anyone. (Your email is safe with us).